home Tips Is it Harmful to never shut your Mac down? Ten or twenty years ago shutting your computer down every time you finished using it was the norm – It was simply what you did. However in today’s world many people want, or even need, to be connected 24/7, making shutting down after you’ve finished what you’re doing a huge bother. It would be infinitely easier to leave everything as it is, so that you could come back later and instantly continue where you left off, or so that you could quickly & easily check emails and notifications throughout the day. After all, we leave our iPhones and iPads on all the time, do we not? So why not our Macs? It is a very old and widely accepted claim that leaving a computer running for extended periods will wear it out, shortening it’s life – But does that claim actually have any traction in reality? Will leaving your Mac on 24/7 cause it to bite the dust earlier? Your Mac contains a number of moving parts – And it’s a known fact that the more moving parts are moving the faster they will wear out. Many people therefore come to the conclusion that running a computer for longer periods of time will have the mechanical parts inside run for longer too, causing them to wear out quicker. It is a perfectly logical assumption. However there is one thing that is often overlooked, or that most do not know: Many of the mechanical parts in your Mac are completely shut down when you put it to sleep. So when you shut the lid of your MacBook, the moving parts inside it do not keep grinding away their life. Now then, which of parts inside your Mac are the mechanical ones that wear out with usage? There’s the hard drive, the optical drive and the fans (if you have a MacBook Air or a Retina MacBook Pro then there’s ONLY the fans). The optical drive can be ruled out with this issue entirely, as it is only active when you’re using discs, it’s activity therefore having absolutely nothing to do with wether you shut your Mac down or just sleep it. This leaves just the hard drive and the fans. Both of these completely turn off when you put your Mac to sleep. 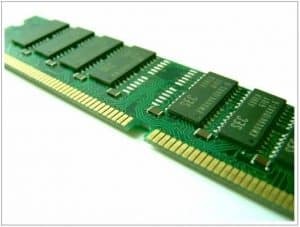 In fact, the only part of your Mac that stays on while it’s asleep is the RAM – And since the RAM is a static component, one that does not contain any moving or mechanical parts, it can be used as much as you like without ever wearing out. Aside from the physical wearing out of components, many people claim that never shutting your Mac down causes the system to slow, as the caches of the OS and various applications are never cleared. And while it is true that many caches are cleared when you restart your Mac, freeing up RAM and hard drive space, emptying them on a regular basis may actually decrease performance rather than enhance it. The reason for this is the fact that caches are there for a reason – The reason being that they prevent the computer from having to load everything from scratch. For example, if you have a website open in Safari, then you minimize the Safari window and proceed to send an email using the Mail app, the website you have open in Safari is cached to the RAM. This is so that in the event you choose to go back to the website after sending your email, the website will still be there, just as you left it. However if the website was not cached to the RAM, or if you manually cleared the cache, it would have to reload all over again once you switched back to it! You can imagine how frustrating this would be, as it would render multitasking virtually impossible. This is why caches are important to your Mac’s performance. Not restarting, and therefore leaving these caches in tact will cause applications and websites that you frequently visit to load a LOT faster – And in many cases, instantly. Mac OSX generally does a good job at freeing up RAM and other resources when they run out and are required for something else, however if you wish to totally clear the RAM at any time, simply open the Terminal application and without the quotation marks type ‘purge’. This will clear out all of the data cached in the RAM, and is exactly the same as restarting. 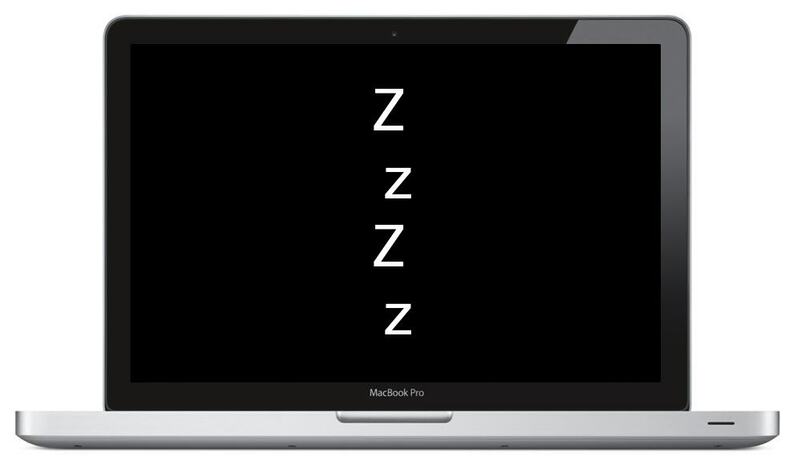 While we can safely conclude that sleeping your Mac rather than shutting it down is not decretory to the computer’s lifespan, what if you wanted to go one step further and leave it turned on all the time? You might want to leave your Mac turned on all the time instead of sleeping it if you’re using it as a server, or if you want to preform tasks on it where the computer will be left unattended for long periods of time (ie: Downloading large files, torrenting etc). Would that wear your Mac out and shorten it’s life? Leaving your Mac switched on obviously means that most of the mechanical parts, such as the fans and the hard disk, will be running. In regards to the hard drive, you should find out if your Mac has a HDD (mechanical hard drive) or a SSD (static hard drive). All MacBook Airs and Retina MacBook Pros have SSDs – So if you own one of these, you won’t have to worry about the drive wearing out, as SSDs have no moving parts. And although SSDs can still wear out after so-many reads/writes, as long as your Mac isn’t doing many hard drive intensive tasks (like copying large files) the SSD shouldn’t wear too much. If you’re not lucky enough to have a SSD installed in your Mac (most Classic MacBook Pros, iMacs and Mac Minis do not) then leaving it constantly turned on will contribute to the hard drive’s wearing out. It’s not the end of the world though, as mechanical hard drives are cheap to buy (about $100USD) and easy to replace (almost anyone can replace a hard drive, as it’s quite simple). 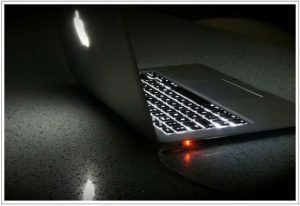 As for the fans: MacBook fans have been known to wear out with heavy usage – However it is usually only when they are spinning at a high speed, which would only occur when the computer is very hot & under a heavy load. The fans are unlikely to wear out if they are only idling. So be aware that of your Mac’s fan speed when you leave it on for long periods of time, and try to avoid letting it rev right up. For more information about how to cool your Mac down (and therefore lower it’s fan speed) check out this article.